Do you want to be healthy? Slim? Age well? Japanese superfoods might be your answer. Japanese cuisine has long been revered as a source of unparalleled health and vitality. Japanese superfoods are nutrient-rich ancient foods such as miso, konnyaku (aka konjac), daikon and matcha green tea. These foods play a major role in keeping our bodies healthy and are renowned for being both tasty and wholesome. This book includes information on 20 Japanese superfoods detailing their basic use, as well as their nutritional and health benefits. 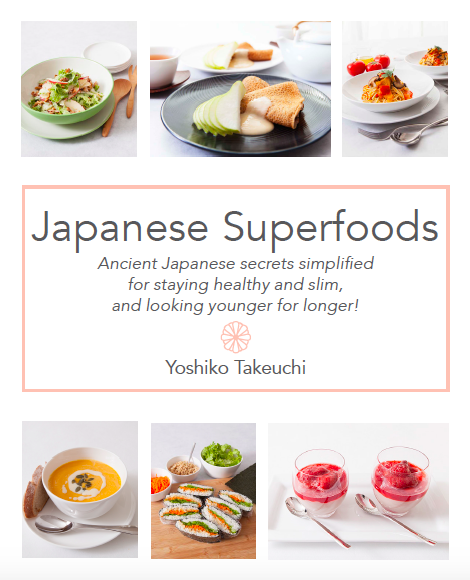 Also included are incredible recipes based on these ancient Japanese superfoods, showing how you will be able to incorporate delicious and beneficial ingredients such as amazake, azuki, daikon, various seaweeds, including wakame, nori, konbu, and more, into your everyday meals. Now is the time to learn from ancient wisdom and incorporate real Japanese superfoods into your daily meals! Buy my book now!